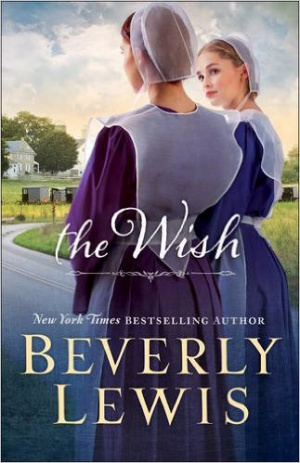 This new Amish novel from Beverly Lewis follows Leona as the troublesome past reaches out to her through an old friend. Leona Speicher got the "sister" she always dreamed of the day Gloria Gingerich and her family moved to Lancaster County. The Arkansas newcomers seem to be the answer to Leona's prayers--until Gloria's father is expelled from their Old Order Amish church for reasons no one will discuss. Much to Leona's dismay, the Gingeriches suddenly pack up and disappear. Then, after a silence of several years, Gloria unexpectedly contacts Leona, who makes up her mind to go after her friend. Yet Leona's fiance--the deacon's son--is alarmed. Will Leona's dearest wish lead to her own undoing. The Wish by Beverly Lewis was published by Baker in October 2016 and is our 16080th best seller. The ISBN for The Wish is 9780764212499. Be the first to review The Wish! Got a question? No problem! Just click here to ask us about The Wish.